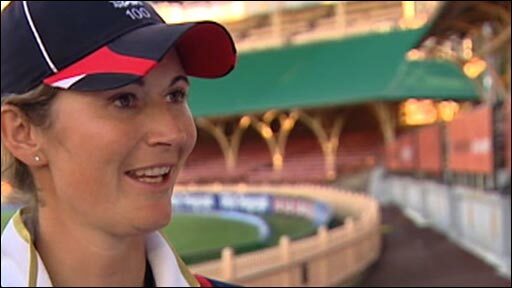 England captain Charlotte Edwards hailed her team's World Cup victory as a special day for women's cricket. Edwards admitted she felt jittery as England lost five wickets for 40 runs before beating New Zealand by four wickets with 23 balls remaining. She said: "It's something we have been working towards for four years. "I don't think it will sink in for a while, but this is a special moment and we'll remember this for the rest of our lives. The team have been amazing." England's bowlers had dismissed the Kiwis for 166 and seemed on course for a straightforward win when openers Sarah Taylor and Caroline Atkins guided them to within halfway of the total. But Lucy Doolan epitomised New Zealand's fighting spirit by taking the wickets of Taylor, Atkins and Edwards to spark a mini-slump and finish with figures of 3-23. It was left to player of the match Nicky Shaw, who finished unbeaten on 17 after earlier taking 4-34, and Holly Colvin to steer the team over the finishing line. "We told the girls they had to take their opportunities and Nicky has done that," said Edwards. "We've worked hard for this victory. We were up against a very good New Zealand team who didn't give up. It's been a fantastic tournament and everyone's played good cricket. I'm just glad to get over the finishing line." 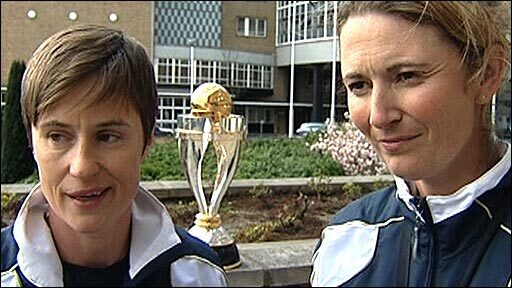 England coach Mark Lane said he hoped the "fantastic" victory would spark an upsurge in interest in the women's game. "Fortunately things have come to plan and the players have done brilliantly," said Lane. "The whole of the squad have played a massive part in this and we just wanted to make sure we peaked at the right time. I just want to say thanks to everyone involved in women's cricket." Batter Claire Taylor, who was named player of the tournament, admitted she had suffered a few sleepless nights ahead of the final. "It was nervy at times," said Taylor. "We were all on the edge of our seats. I've been dreaming about this for a while, so to actually have it... no-one's going to take this away from me." Taylor paid tribute to England's pre-tournament preparation, in particular the time some of the squad spent at the Global Cricket School in Bangalore. "We learned some new skills and worked on our fielding and got the chance to face some great spin bowling," said Taylor of their time in India. "Some of our squad have been in Australia over the winter so it's great to get back together again and challenge each other to be the best cricketers we can be." New Zealand captain Haidee Tiffen paid tribute to England for playing "fantastic cricket". "Our run rate wasn't the problem, it was our consistency and the constant fall of wickets. But the one thing about Kiwis is we never give up, we fight," she said. "We've had a good time, we've had some tough times, but we deserve to be second, England beat us. But we'll be back in four years and we'll give it another go."